The ARTeMIS Extractor is the effective tool for modal identification of civil engineering structures such as buildings, bridges, dams and offshore structures. 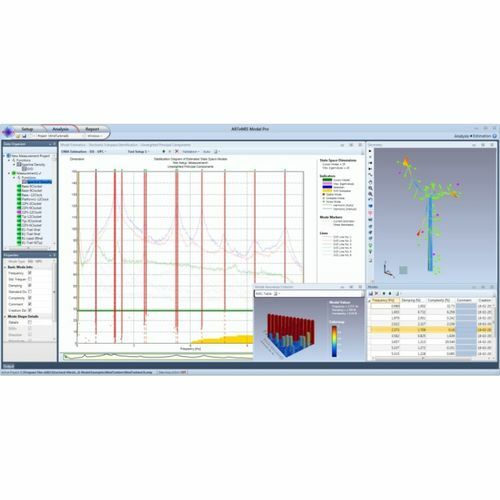 The software allows the user to accurately estimate natural frequencies of vibration and associated mode shapes and modal damping of a structure from measured responses only. In all versions of the ARTeMIS Extractor one can generate geometry information and perform measurements in any standard measurement system and then perform modal identification and validation. Response data files can be provided in a flexible ASCI format or by making use of the standard Universal File Format (UFF). All versions of the ARTeMIS Extractor run under Windows 95/98/NT/2000 and have the same logical user interface with OLE support and online help that facilitates a quick and easy start. 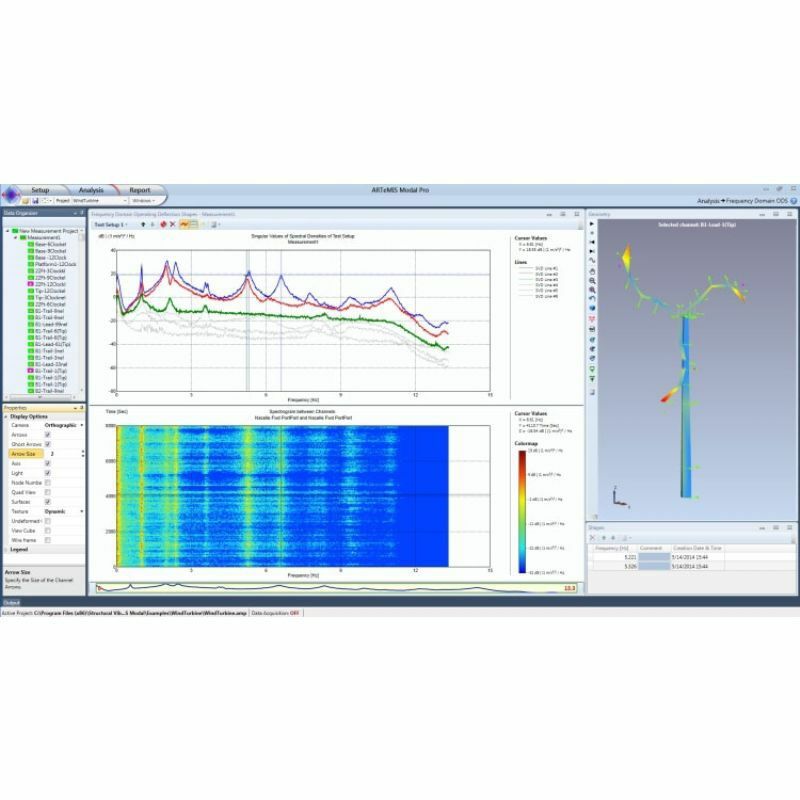 All versions include powerful and efficient signal processing tools, capabilities for 2D displaying of spectral densities and correlation functions and for 3D geometry validation and mode shape animation. All plots and tables can easily be exported to other Windows programs such as Word and Excel using copy/paste commands. This also helps producing credible documentation with a minimum amount of work involved. Three versions are now available, only difference between the three versions of the software is the number of techniques available.